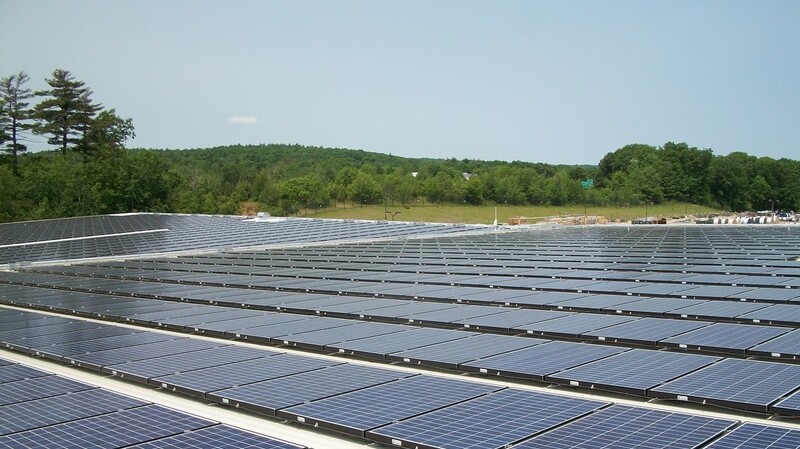 Built for National Grid at its New England Distribution Center warehouse, this 1-megawatt rooftop array was the largest solar site in Massachusetts at the time of installation. 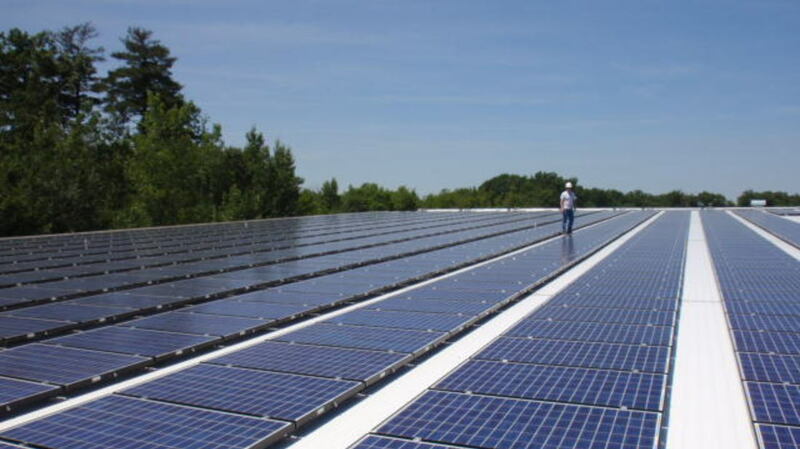 It was the first utility-owned solar generation facility in service under the Commonwealth of Massachusetts’s 2008 Green Communities Act, which allows utilities to own up to 50 megawatts of solar generation. The project was built on time and under budget with no disruption to ongoing operations and employed all local contractors. The company estimates that more than 50 green jobs were provided under this renewable energy project. This solar array consists of Massachusetts-made solar panels, installed by Massachusetts firms and workers, generating clean, renewable energy for Massachusetts customers for years to come. This is what our clean energy future looks like.